Fiskars lever punch snowflake, great for all sorts of projects. Decorative 1.5cm wide red and white lace tape. 15m roll $3.50 from Plushka's Makery. 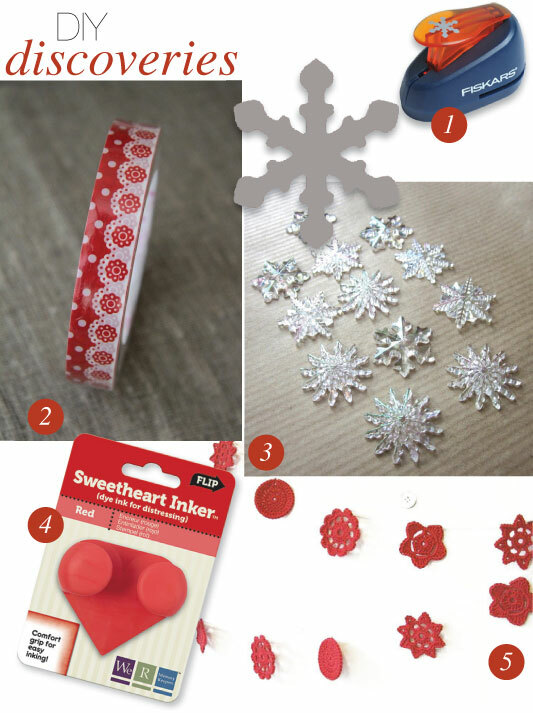 12 pretty clear plastic snowflake embellishments. £3 from Overspill. The new sweetheart inker from We R Memory Keepers in red. Easy to hold with a wide edge for large areas and a pointed edge for detailed work. Christmas crochet garland in scarlet red. 180cm long. £36 from Emma Lamb.